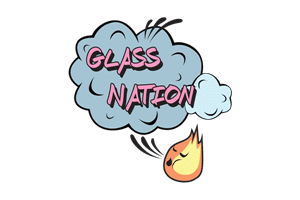 Glass Nation has the best percolator bongs online. There are so many different kind of percolators out there for bongs, it is almost mind boggling. There are honeycomb percolators, 4 arm percolator bongs, shower head percolators, inline percolators, and so many more I can’t even think of them. The reason there are so many different types of percolator water tubes is because of the simplicity of their functionality. Percolators serve to break the smoke up into as many tiny bubbles as possible. The more bubbles, the more filtration the smoke under goes. Filtering the smoke or vapor with water cools the smoke down and makes it easier to inhale. All the best water bongs online have some kind of percolation functionality incorporated into them. Without filtration there would simply be too much air flow and smoking would be uncomfortable and cheap feeling. Don’t settle for anything but the best when it comes to your bong. Get a high quality percolator water tube to add to your collection.